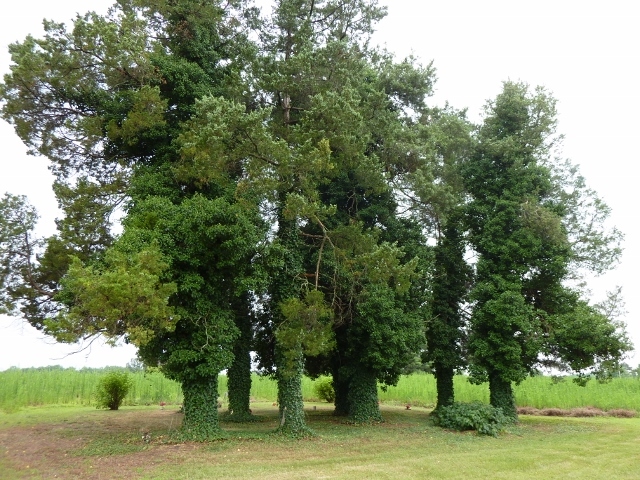 The supposed burial site of James Taylor I. Cedar trees are said to mark some of the early graves. There are no head stones for any of the Taylor family supposedly buried here. Click on the red balloons to see a description of the site.